Snow White is a beautiful and sweet kitty. She absolutely loves attention and will meow to get your attention. She and her babies came into the shelter after she had them outside. According to the people who were taking care of them, she was a great mother to many kittens, so now she deserves to have someone take care of her! She is very defensive towards some of the other cats, but doesn't seem to mind others. Snow White is named after the princess for her beauty. She is almost completely white, with only her ears and tail having calico markings. 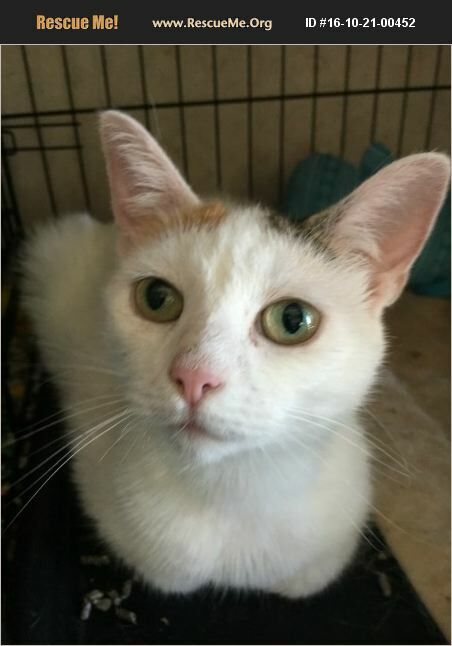 Snow White is looking for her happily ever after!